The President’s Desk out now – Shaun Micallef Online! 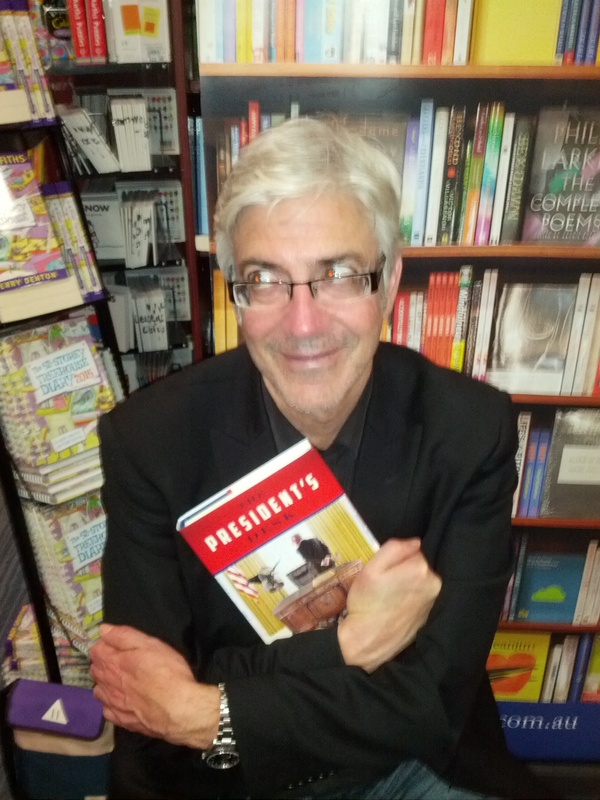 Finally, The President’s Desk is now available in all good, bad and indifferent bookshops. Did you know that Woodrow Wilson was a Transvestite? FDR was killed on the orders of Churchill? Grover Cleveland almost married his own daughter? The White House was burned to the ground by Herbert Hoover? Bess Truman came from Outer Space? Perhaps not, but if you like your history with a bit of spice, and a lot of humour, then this altered history of the American Presidency since the 1860’s, told through a piece of furniture – The Resolute Desk, is for you. If not, look out of one of Shawn Micallef’s books, such as Stroll: Psychogeographic Walking Tours of Toronto. ” I LAUGHED UNTIL I STOPPED” as someone once said. Sack the researcher again for calling Pompeii a volcano. Has a lot of similarities to Abbott gov. Gomez Abbott sets. Out to please Margaret. Having read every page of the The President’s Desk I’m sure it will not go unnoticed that Donald has settled well behind the desk (he prefers to be seated behind desk in most media releases) and that includes having a lot of fun this week engaging in plenty of conversations on the phone with world leaders and even our dynamic Prime Minister Mr Tumble.